A print & web comic series about '90s kids making bad decisions over the early internet. Three new pages of issue 6 were just posted. As were eight more pages posted to Patreon. Every issue is free to read online. Get notified via email when a new issue is finished. You can also get notified via twitter & RSS. 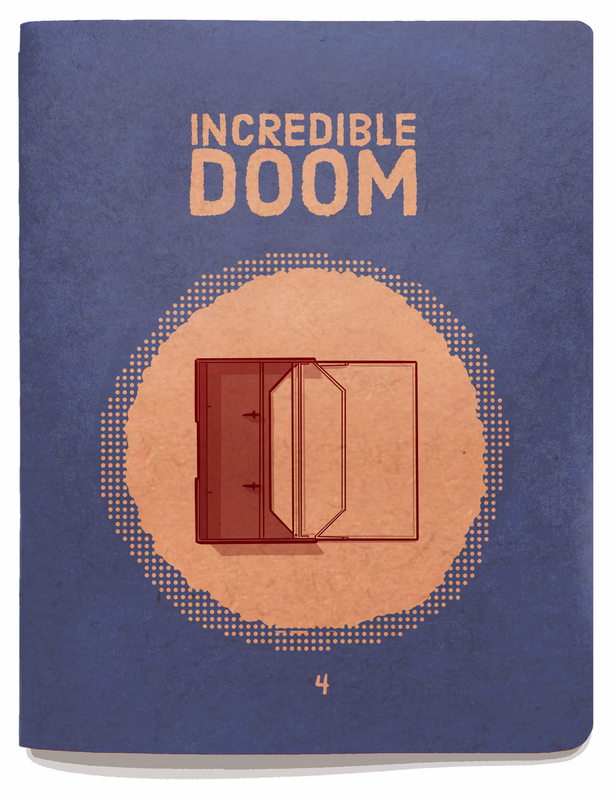 Incredible Doom was created as a series of mini comics designed to look great on your shelf. Each issue is meticulously printed in Portland, Oregon and shipped to your door. Become a member on Patreon and get future printed issues and other exclusive extras at your doorstep every couple months, plus insider access to the creative process, all weeks before the issue is available online.